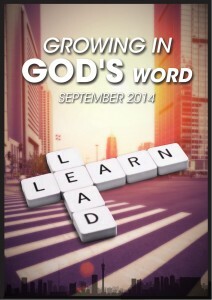 The “Learn and Lead” training course aims to develop leaders in local churches. This part of the material, “Growing in God’s Word”, is essentially a three month course with the objective of strengthening future leaders’ theology and relationship with God through the Word. This prepares leaders and future leaders to understand and function within an apostolic environment.